Born in 1966 in Honolulu, Hawaii, Paul Pfeiffer, sculptor, photographer and video artist is now based in New York. 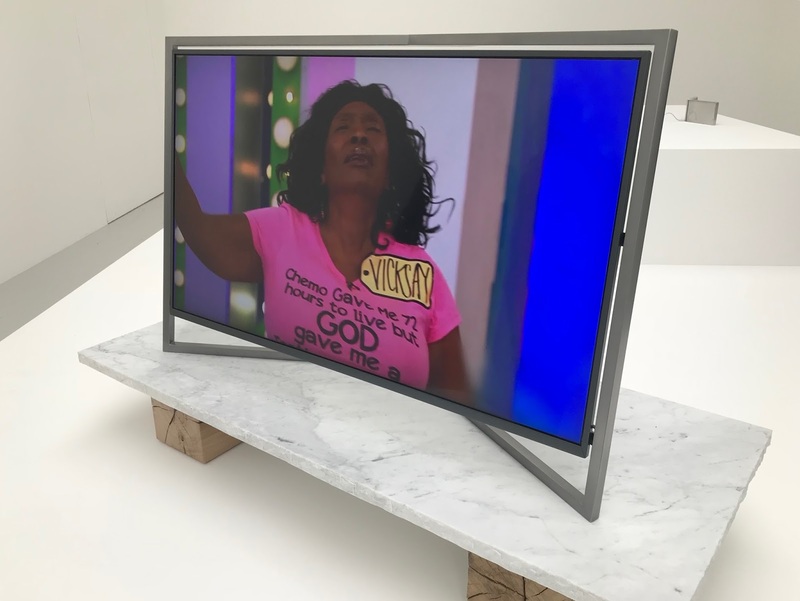 Described by peer artist Gregory Volk as a clever manipulator of popular media, images and video technology, Pfeiffer is stated (by Volk) as one 'who excels at recasting well-known athletic and entertainment events with surprising open-ended nuances. Known for his innovative manipulation of digital media, Pfeiffer recasts the visual language of popular spectacle to examine how images shape our perception of ourselves and the world. This exhibition presents works created between 2015 and 2018 from several ongoing series, illustrating the breadth of the artist’s practice. You have to go and see it in real as it is movies but the screens he used to show his works are a piece of art by themselves, so here are a few pictures.